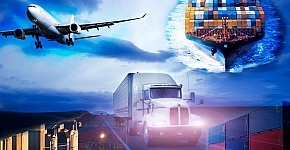 In October 2016, the Global Institute of Logistics announced that it would undertake a research study into the quality of logistics service providers in the global aviation sector. The aviation and aerospace industry is one of the most demanding verticals for suppliers. Offering logistics support for maintenance, repair and operations (MRO) is one of the most complex challenges for logistics service providers and more particularly those servicing the emergency needs of this industry. The research seeks to establish the level of adoption of best practice in logistics execution in the sector and draws for the most part on interviews with logistics and freight managers at the world's leading airlines. The Institute will publish its preliminary findings from its research into logistics standards in the aerospace vertical in October this year. One of the early recommendations arising from the preliminary findings based on feedback from logisticians working in the aviation industry is the formation of a benchmarking group. The group will share, learn and benchmark their respective experiences and strategies in the execution of their work. The key output from the group's work will be a guide to best practice in logistics execution supported by a glossary of definitions, KPI's and benchmarks. It is proposed that the group meet 8 times over a 2-year period beginning in 2018. The collective will become the 5th benchmarking group meeting on the GIL platform. In the interest of expediency, the meetings will be co-located with major trade events and conferences. In 2012 Kieran Ring was invited by the Chinese 'Super' Think Tank the China Center for International Economic Exchange (CCIEE) to address its members and Chinese media on the challenges associated with lowering logistics costs. His presentation drew largely on the pioneering work of the Institute's founding Chairman Bob Delaney who devised the metrics for measuring logistics costs. A shift in power is taking place in global supply chains and the Global Institute of Logistics believes that it is the quality of the relationships between cargo owners and their logistics service provider partners that will determine the winners. Research in to the Container Terminal and its role in global logistics began after our research in to how U.S Beneficial Cargo Owners (BCO’s) from the consumer goods and retail sector were coping with the logistics challenges arising from sourcing in China. The “Container Terminal Quality System” (CTQS) is a major accomplishment for the shipping world. This system was developed as the result of an unprecedented global collaborative effort of a variety of peer groups with one common goal. 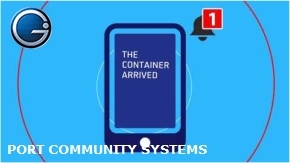 Recognizing a need for joined-up communications throughout the port stakeholder network, many ports have invested in a bespoke Port Community System (PCS) to integrate the port authority, customs, cargo owners and carriers.